Bridge Dental Centre was established in 1992 and the previous owner Dr Stephan Van Wyk retired in February 2016. We then became part of Perfect Smile. We still have the same team here and we are excited to be part of the Perfect Smile group. 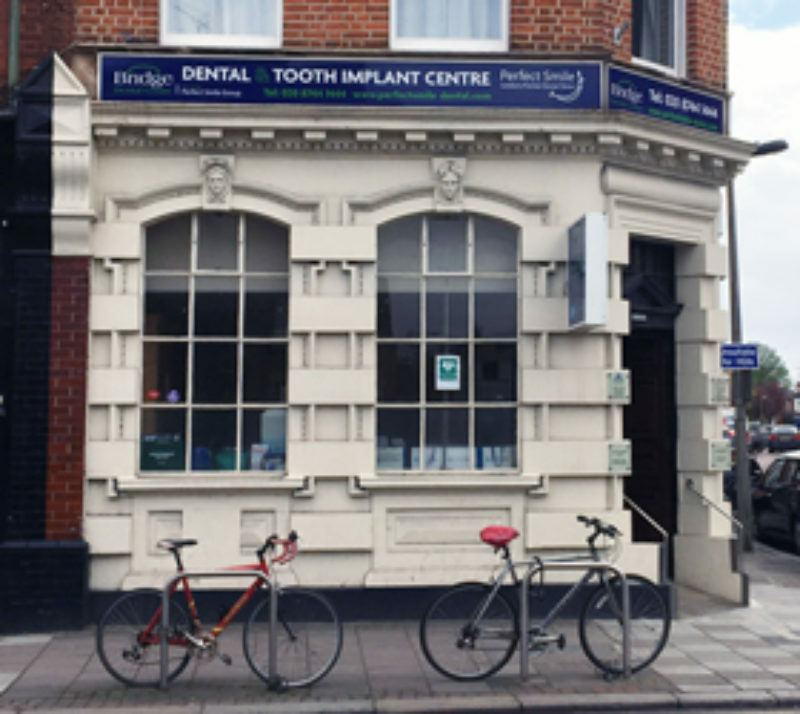 You can be assured of a warm and friendly welcome, outstanding customer care and the highest standard of dentistry. We believe every patient should be treated as an individual so we strive to ensure your specific needs are met at all times. We are committed to provide quality dental care to you and your family, focusing on preventive dentistry. This means we will advise and support you to take care of your teeth and so minimise the need for dental treatment. We offer a range of services including NHS & Private dentistry to suit everybody’s needs. If you are anxious about visiting the dentist, please let us know. We will do our utmost to put you at ease in our relaxing, friendly and safe surroundings and if you or a family member has special needs we are able to offer facilities on the ground floor to ensure your comfort and safety. Bus: 33, H22, 490 and R68 stop at the Richmond Bridge East stop just outside the practice. Train: Richmond and St Margaret’s stations are both within half a mile of the practice. Car: There is metered and voucher parking in adjacent side streets. Highest regard for my dentist's expertise based on personal experience & that of my family. He is thorough, skilled, and painstaking & ensures best possible results. He communicates openly & clearly. I had a tooth extraction today at The Bridge Dental Practice. The staff made the experience stress free. Thanks to Eugene the dentist and Jane the Dental nurse the whole experience went smoothly. I would recommend this practice. The staff are lovely! I feel they value their clients, they are all so lovely, and the dentists are fantastic. I have been to some very expensive dentists in my time, nothing compares to this dental surgery, even if I won the lottery I would still seek treatment here. Having a wisdom tooth out was my worst nightmare. To say I was nervous was the biggest understatement of the century, however, the dental surgeon at the practice was amazing. Speedy, pain free really neat work, hardly any blood, no after effects and a speedy return to normal. I give the whole experience 20 out of 10. When I came for my appointment, the receptionist was very pleasant, when I asked her the different prices of the treatments, including private and NHS, she explained it to me very well. When I went to the consultation room my Dentist made me feel very comfortable, after she examined me, she advised that the best treatment for me would be to have a root canal, and she also explained me about this procedure with very well, I felt that I trusted my dentist.